Are you looking for a new or preowned sporty Chevy Cruze? Come see Vance Chevy Buick GMC in Perry, OK for small town friendly service with a big city inventory. We are worth the quick 30 minute drive from Stillwater, Enid and Guthrie, Oklahoma. Discover for yourself why Vance Auto Group has been faithfully serving Oklahomans for over thirty years. We always make customer satisfaction our number one goal. The Chevy Cruze is fun to drive with its rocking updated look and impressive efficiency. It’s high on style and up on tech so you can keep calm and cruze on. It is available in sedan or hatchback. The Cruze gets 28 mpg in the city and 38 mpg on the highway. The Chevy Cruze Hatchback diesel gets an impressive 45mpg on the highway. It’s a great choice for those long drives. The Hatchback also offers 47.2 cu ft of cargo space with the second-row seating folded down. The turbo engine is standard as is the rear vision camera. The Chevy Cruze comes in an array of exterior colors and is dressed to impress with its aggressive new front and grille. Not only is the sleek style of the outside a head-turner but the comfort zone on the inside makes you savor the ride. The Cruze comes with standard Apple Car Play and Chevrolet Infotainment System and has lots of other available tech updates such as built-in 4G LTE WiFi-Hotspots, Android Auto, and Bluetooth streaming audio. Bring your music, select apps and other data along for the ride. Check out the ten standard air bags and hi-strength safety cage and all the available safety drive assist features. Find out about the upgrades with heated front seats and steering wheel. Do you want even more Sport? Take a look at the RS package available on the Cruze LT and Premier. Make a statement with the unique larger black machine wheels, rear spoiler, sporty body, black emblems and moldings and sporty rear suspension. 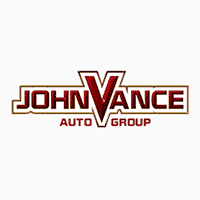 Vance Auto Group has 9 full service dealerships serving central Oklahoma. We have a lot of preowned inventory available at each of those locations. Check out our website. Call one of our friendly sales reps. Come see us in Perry, OK at Vance Chevy Buick GMC. It’s worth the drive.